We are excited to welcome pets home to Bexley at Whitestone! There is no weight limit on the first floor. There is a 50 lb. weight limit on upper levels. You can also take your pet for a stroll around the neighborhood. 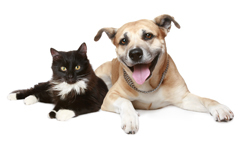 We are pleased to offer pet stations in convenient locations throughout the community.